Site where historians believe Abraham dwelled "in the plains of Mamre" still exists. After the revolt of the Jewish leader Shimon Bar Kochba against the Roman occupiers, (132–136 BCE), many Jews were captured by the Romans and sold into slavery at this site. The tour was organized by Midreshet Hevron and took place late at night, similar to visits to the Tomb of Joseph and other historical site now under the jurisdiction of the Palestinian Authority. The group saw Palestinian Authority flags hung from the lamp-posts as they walked down into the site. Several huge banners for Herbawi mattress factory, a large and successful PA-based company, were visable on the towering buildings around the site. Since the 1997 Hebron Accords, Elonei Mamre has been one of four heritage sites inaccessible to non-PA residents except in rare circumstances. The walls of Elonei Mamre are dated back to the time of King Herod and many of the bricks are of Herodian architecture similar to the Tomb of Machpela complex and the Western Wall in Jerusalem. Also on the site is a well, now dry and empty which for generations has been referred to as Abraham's Well. The site is mentioned by travelers of the Middle Ages such as Benjamin of Tudela, Petachia of Ratisbon and in the book Yihus HaAvot. 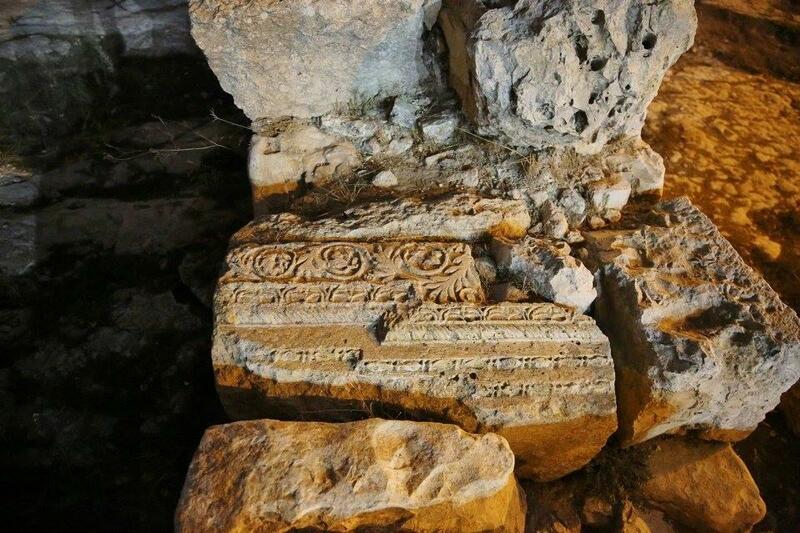 The Jewish Community of Hebron thanks the IDF Judea Brigade, Hebron spokesperson Noam Arnon, Midreshet Hevron college, and all the people who came with a sense of daring an appreciation for archaeology, and a desire to connect the past to the present. Special thank you to Uriah Heller, photographer. For full article on the history of the site click here. For more photos visit our Facebook page by clicking here. For more information on Midreshet Hevron click here.